Nkosana Mbokane, CEO of TechnoChange Solutions. Most business are unaware of the seriousness of cyber security until they have been affected directly through a cyber attack. Companies need to wake up and take cyber security seriously, as falling victim to an attack could not only mean loss of revenue, but serious damage to reputation and customer confidence. 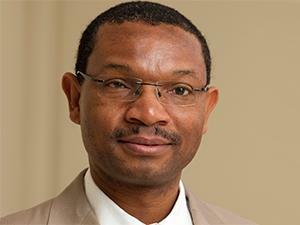 This is according to Nkosana Mbokane, CEO of TechnoChange Solutions, who will be presenting on 'The importance of cyber security', at the ITWeb Security Summit, to be held from 21 to 25 May at Vodacom World in Midrand. In terms of what businesses are doing wrong in terms of cyber security, Mbokane says they are not viewing cyber security as part of their main strategic agenda. "Many companies that we have provided consulting services to have relegated cyber security to the IT department as just another IT function. This is a big mistake, as a cyber attack could shut down a business. It is not an IT function, but a business strategic one." So what should they be doing? He says the most important thing for businesses to do in terms of cybersecurity, is to make it an integral part of the business. "This means driving it from the point of company strategy and ensuring that every employee is aware of cyber attacks, how they happen, where they are likely to come from, and what the potential impact on the business could be in the event of an attack." During his talk, Mbokane will emphasise the importance of elevating cyber security to the top of the agenda. He will discuss the role of both C-level executives and other employees in the business's cyber security initiatives, as well as highlighting critical areas of importance for cyber security. Finally, he will discuss the importance of building cyber security awareness within the company, and will talk about the type of companies that are likely to be attacked, and where the attacks are likely to come from.